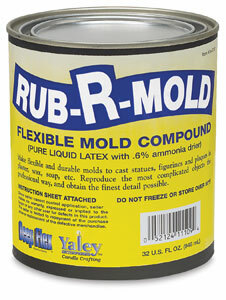 An inexpensive liquid latex that you brush over models to create flexible molds that will produce many plaster castings. Contains an ammonia drier for quick curing so that additional layers can be added in less time. Instructions included. 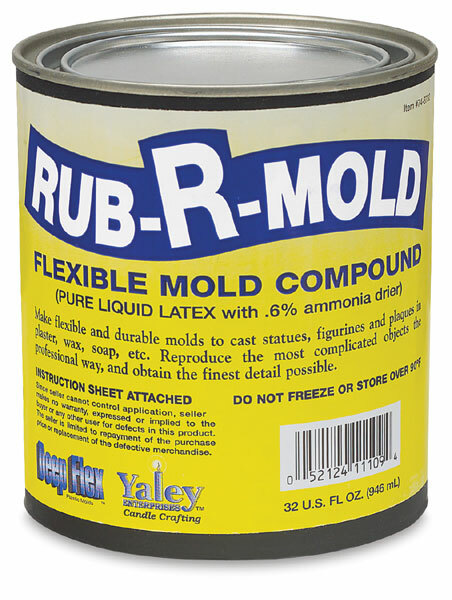  Rub-R-Mold is a trademark.